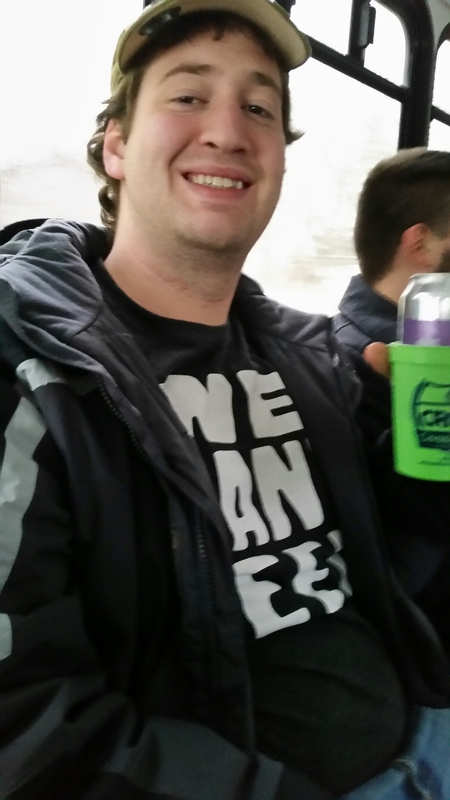 Gem City Beer Blog – Exploring Ohio one beer at a time!! Exploring Ohio one beer at a time!! Ale Fest and Ale Feast have a new home! All summer long many of us have been stressing out about what will happen to Ale Fest. There were concerns that 19th annual fest would not happen. They were struggling to find a venue now that Dave Hall Plaza is becoming the Levitt Pavilion. Ale Fest will be Aug. 26 from 3 – 6. The VIP tickets will be able to get in at 2. General admission tickets will be $40 in advance and $50 at the door. The VIP tickets are $60. 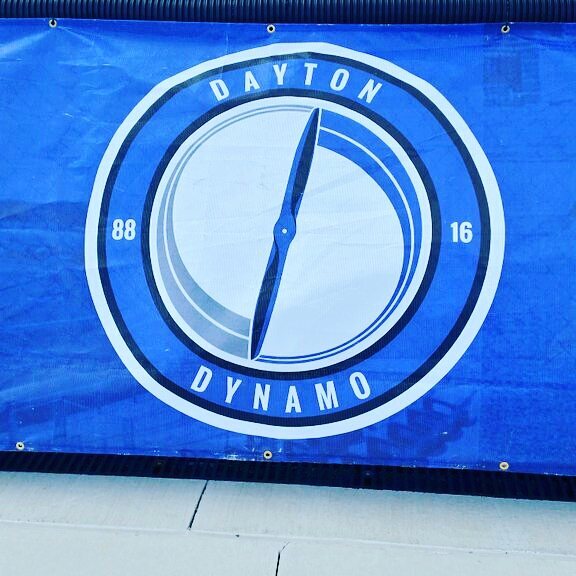 Today we had a chance to attend a Dayton Dynamo FC game at the new location. They moved from Welcome Stadium to the CJ high school field for their second season. The atmosphere was greatly improved. Mostly by the addition of BEER! They have one beer booth and it takes cash and card. 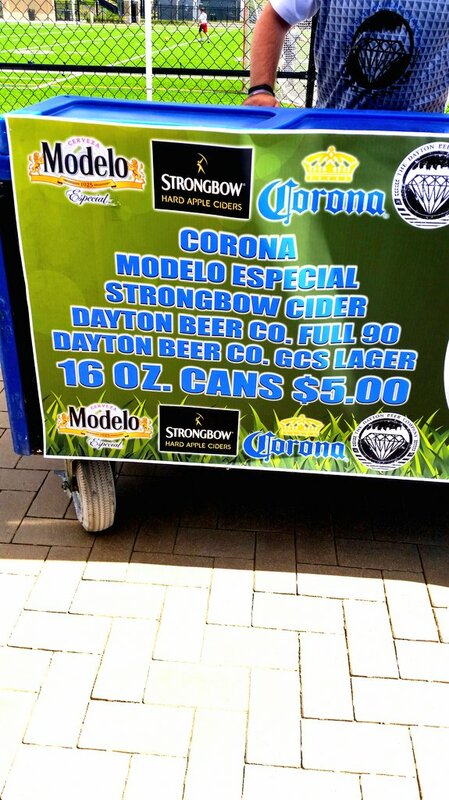 All beers are $5 and I am most excited about the Dayton Beer Company additions. 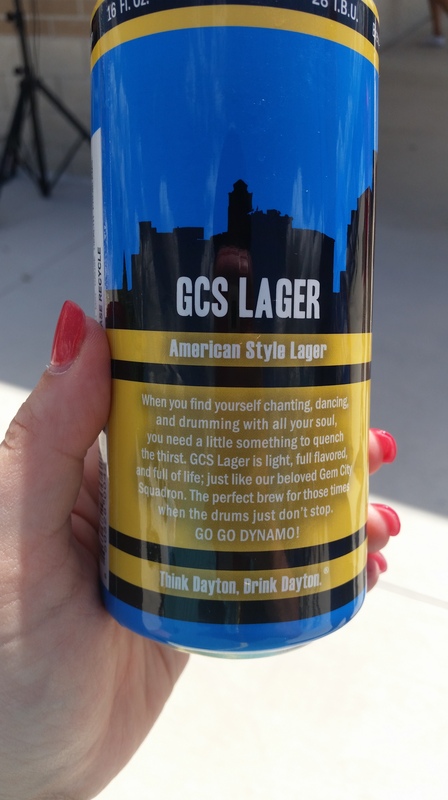 They have 2 beers from Dayton Beer Company, Full 90 and GCS (Gem City Squadron) Lager. 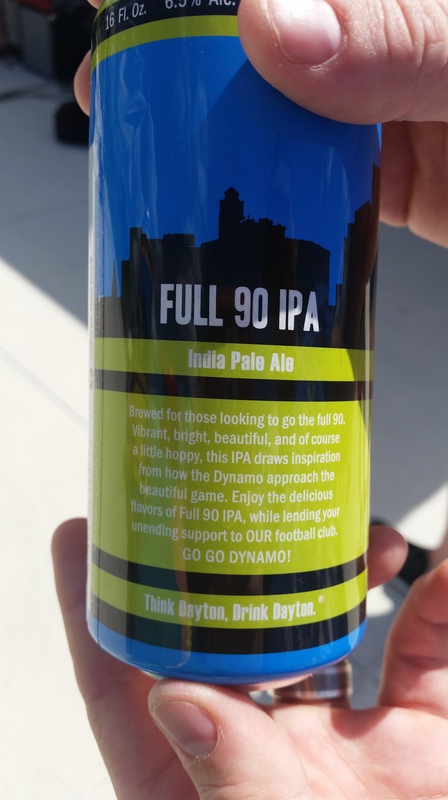 The Full 90 is an IPA. It’s a standard IPA and not too heavy. 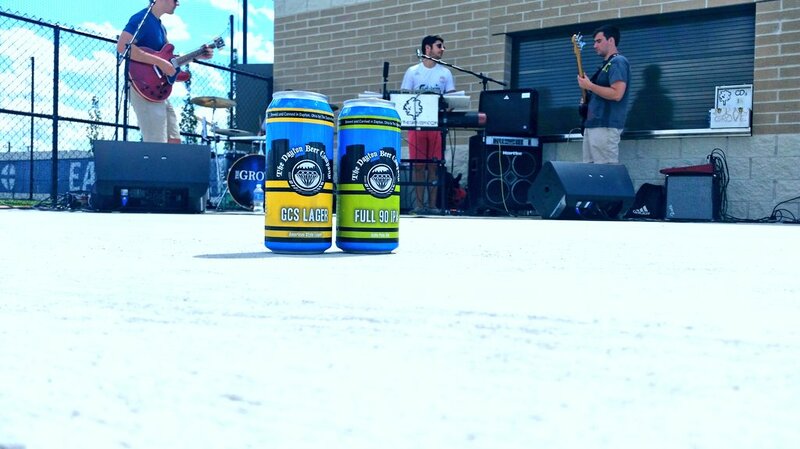 The GSC Lager is better than a buget beer but has the same refreshing quality. Both beers are a great compliment to a sunny day in the stands. I also got to enjoy the Dynamo’s new local music program. My brothers’ band, The Grove, was playing today during the pregame and half time. The weather was perfect and I am excited to see other local acts play at future games. They are having local bands play at all their home games this season. I really hope they continue this! Overall I think this is a great addition to our city. I can wait to catch another game! Hey everyone!! 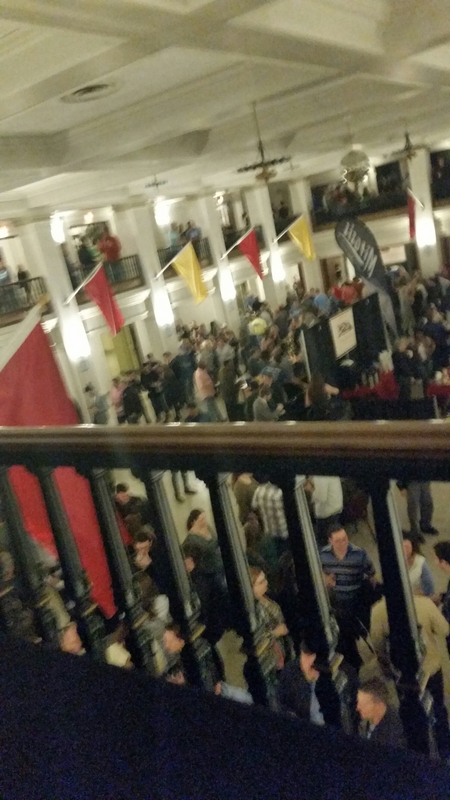 I am so excited to share with you some big stuff going on in Ohio’s beer scene! The first big upcoming event is a favorite of mine. It is the Ester’s Lil Secret release party! This year they didn’t release or even hint at what the beer is going to be. Which makes me even more excited! Who doesn’t love a mystery. “To celebrate the 2016 release, we will be kicking off a sweet spun event on November 3 rd at the brewery beginning at 5PM. The party will feature the release of this year’s secret beer along with a special Esther Price Candy pairing to compliment this year’s offering. This is an event I never miss out on and I can’t wait to continue the tradition!! Sorry for the lull in post. I am excited to share more frequent posts this summer! Cheers! 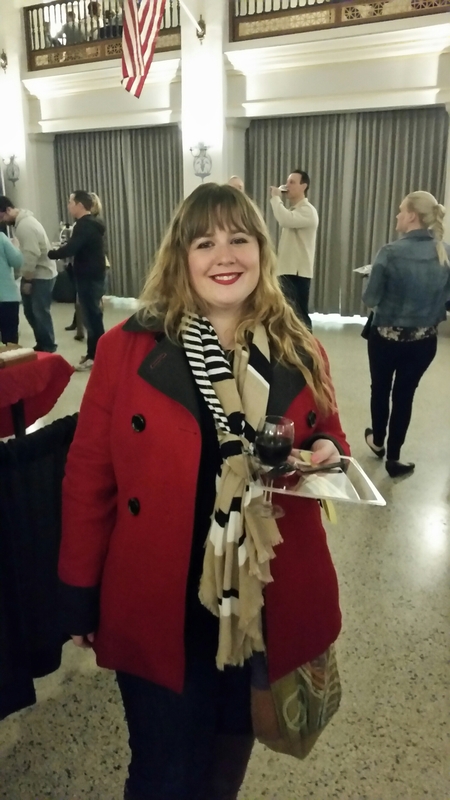 I am so excited that we are able to go to 2 new beer events this winter. Both of these events were around last year but sadly we had missed out… but Not this year! Now since we are new to this even we did make one mistake… we ate before. We were unsure how much food would be their and did not want to risk it. Trust me you will be fine. This was my husband’s first birthday after we got married and I wanted to make it special. 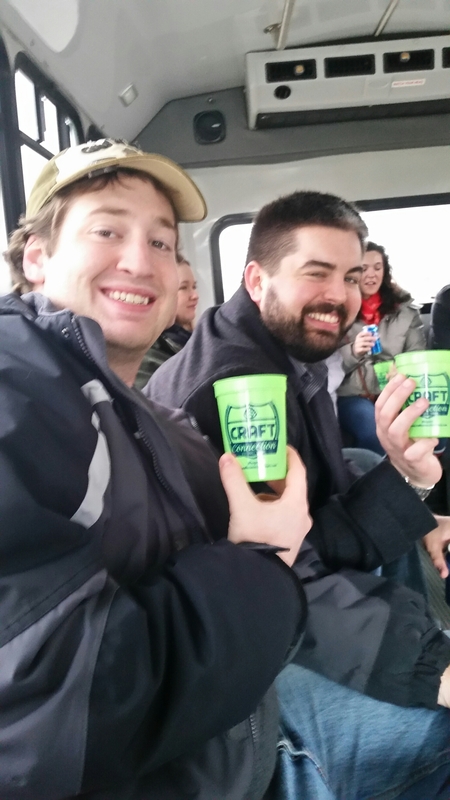 So I decided to plan a private tour on the Craft Connection brew bus. We had been on the one in Cincinnati but we were so excited to tour our hometown of Dayton. The breweries we chose were Eudora, Yellow Springs, Dayton Beer Company(DBC), and Toxic. We had 12 of us go on the bus so we were able to book a private tour! Last time we went on a public tour, which was also awesome, but the private tour with just our friends made it even better. The first brewery we went to was Eudora. This is a smaller brewery but we are very familiar with it. We had been regulars at their trivia on Wednesday night about a year ago… still we got to see the brew tanks and hear about how to make beer. 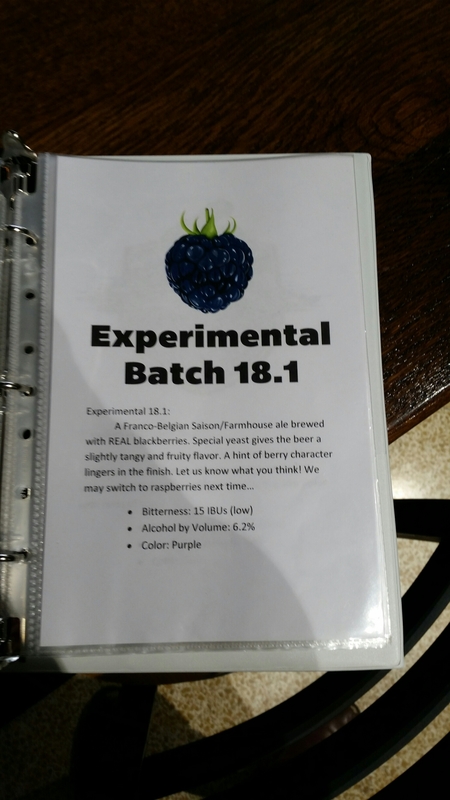 We also got to try their new beer Experimental Batch 18.1. I am always into that! After that we headed up to Yellow Springs. Ben (the owner of Craft Connections and our driver) got us beer for the road since this was such a long drive lol. 2 beers later (Sundowner and sadly a bud light, yes that’s lowercase on purpose) we arrived at Yellow Springs! This is an amazing brewery and we heard about how much they have grown in the past year! We also got their English Mild Kerfuffle! This is one of my favorite beers right now. 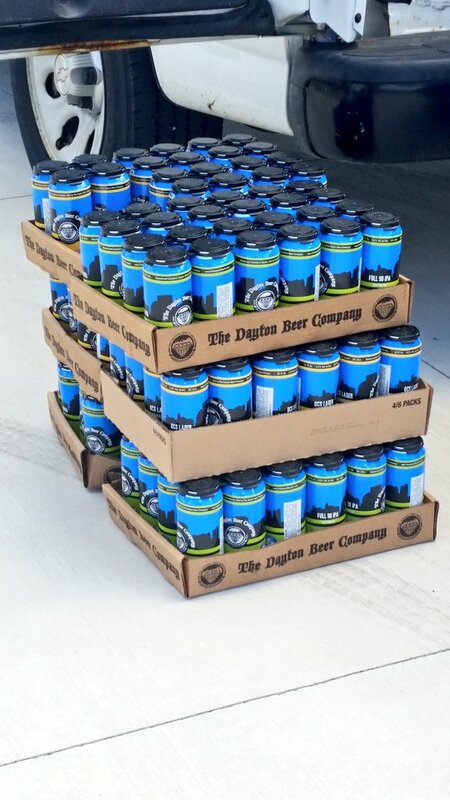 A few of my friends played a board game and then it was time to head to Dayton Beer Company. When we got back on the bus Ben told us he bought my husband a 6 pack of Captain Stardust for his birthday! Thanks Ben!! So after another beer, and an epic singalong to “Take on Me”, we were at DBC. So for multiple reasons DBC is like home base for me. I always feel at home here. We had a few of their beers and I bought one of my own. 🙂 Before long it was time to head out to the last stop, Toxic. Toxic was the most surprising tour. I was shocked to hear that they handmade all their brewing equipment and some of the creative ideas they came up with to solve problems. For example you can see what looks like a treadmill above. Well that is exactly what it is! They use it to send the grain up to the Mash ton. Also the built their own walk in fridge. (See below) It was amazing to see how they overcame any obstacle. I am excited to hear they are expanding, adding more taps, and craft cocktails on tap. I can’t wait to go check it out! Overall the trip was a blast! We all ended at my house and continued the party. Thank you Craft Connection for an awesome party!!! 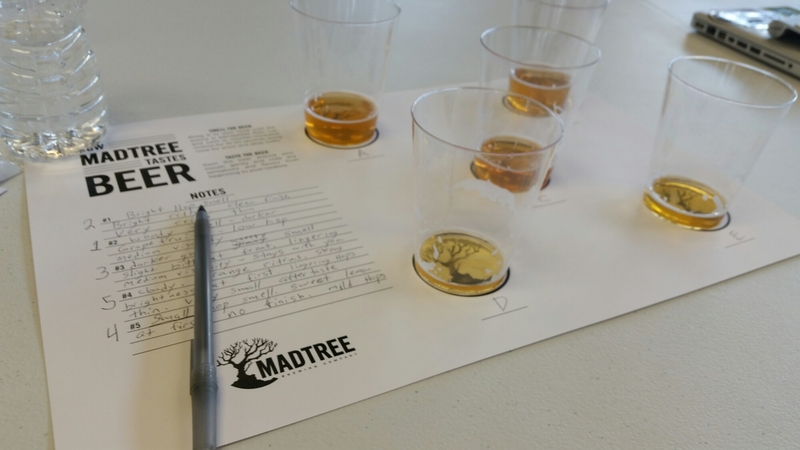 Yesterday I went to a blind tasting at Mad Tree. We were asked to try a variety of Pale Ale’s and IPAs. In total, we tried 5 different beers. The biggest thing I took away from this tasting was how important it was to not talk about what you tasted during the beer tasting until everyone was done. This really allowed me to analyze what I tasted without taking into account what other people thought. I did not realize how much what other people said was affecting what I was experiencing. Also it was nice to sit and really think about the beers and have the quiet time to really analyze. Now don’t get me wrong, I love bar discussions about the flavor and smell of the beer as you are trying them just as much as the next guy but this event had a different feel. Anyway, the big thing from the event was Madtree’s new pale ale. 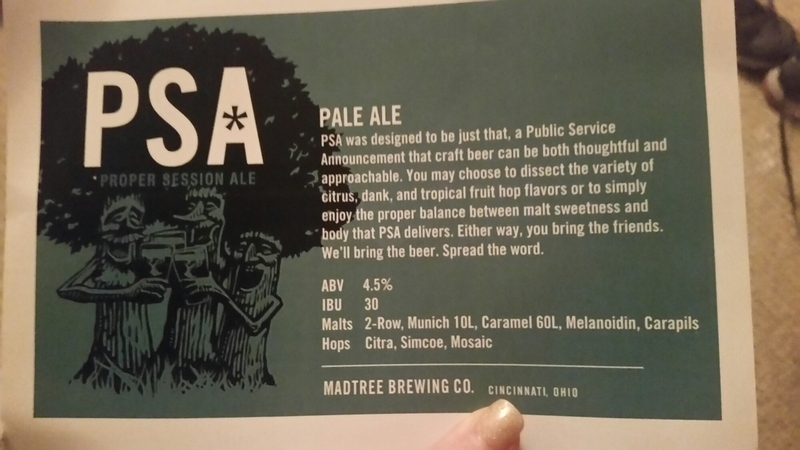 They are releasing a new flagship beer called PSA. This new approachable pale ale that will sadly be replacing Gnarly Brown on shelves soon. Now it is not sad that this beer is coming I am just sad to see Gnarly Brown go. It is one of my favorite Madtree beers and being the dark beer fan that I am it was nice to see a solid dark beer at bars with a somewhat limited craft beer selection. Still, PSA is a very drinkable beer. The citrus notes really came out and it is a beer I can see many people liking. 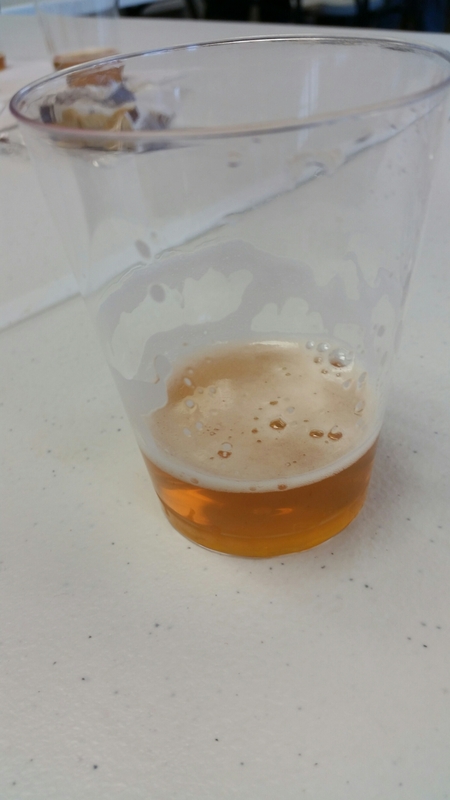 Of the Pale Ale’s I tasted at the event it ranked in the top 2 to 3. It is also one of the best Pale Ale’s I have had. Madtree did let me know that unfortunately this beer will not be at the tap takeover on Thursday at Dayton Beer Company. However, they will have Rubus Cacao, Black Forest, and Barrel Aged Pumpcan. I am excited to see this beer come out and I will definitely be sharing events to try it soon! Can’t wait to share this PSA!! MadTree – big things in 2016!! One of the big things he told me was they are going to be working on a new Flagship beer. This beer will be a pale ale. They are looking at various types of pale ales right now but this will be released later in the next year or so. They are also working on releasing some sours but this is still a growing process. They are working to make sure they can give you a great sour while continuing to put out their great beer. I am very excited to see this development! Other big news in Madtree’s beer is their Black Forest milk stout. This beer was home brewed by Mad Tree’s Cincinnati rep. They liked the beer so much they decided to mass produce it! 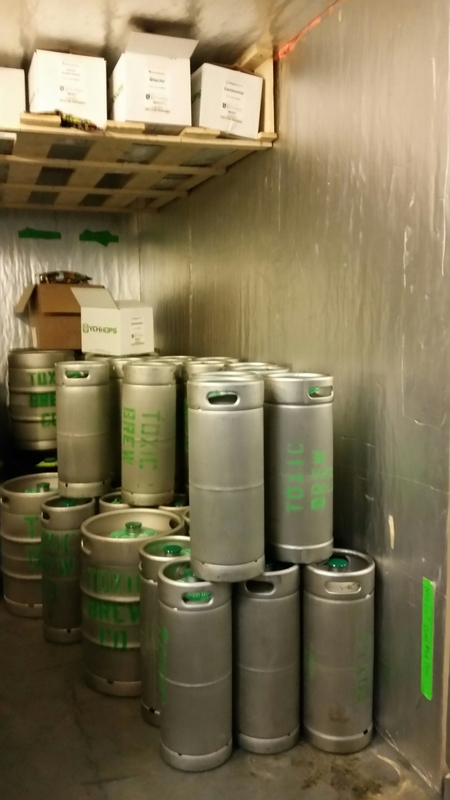 It will be showing up several places in early 2016 and at several tap takeovers. The other big thing Madtree is doing this year are events! Like I said, they are having several tap takeovers with limited release beers. The one I am most excited for is the Madtree and Fat Heads tap takeover at Dayton Beer Company. This will be on January 21st. They are also having a very cool event with JD Legends. It is a Beer and Bowl event for charity. Can’t wait to learn more about this event! The last big event is their Anniversary party on January 31st. 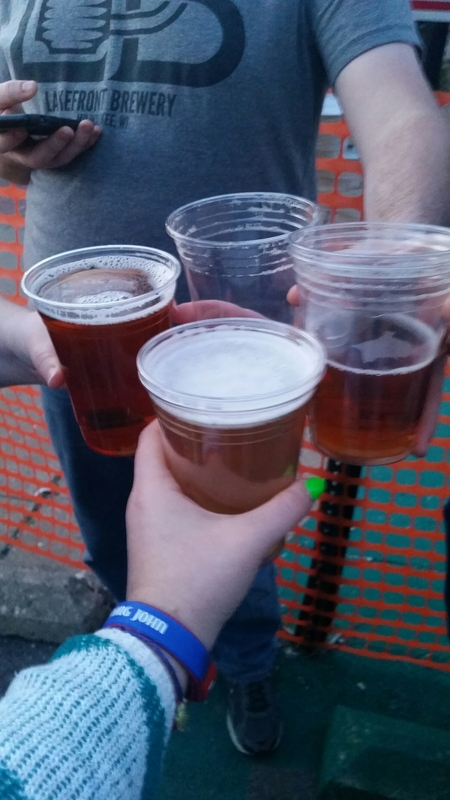 In order to prevent long lines for beer they use tickets instead of money at the bars. You might have to wait for your tickets but at least it will help you get your beer faster :-). The Dayton area rep made sure we let everyone know if you are going to come to these events (especially this one) have a designated driver or cab home. Finally the biggest news(saving the best for last 🙂 ) . Madtree is building a new brewery. The location they are looking at is about 1 mile down the road towards Oakley. This is still early in the planning stages but I am excited to see their progress as this project grows. 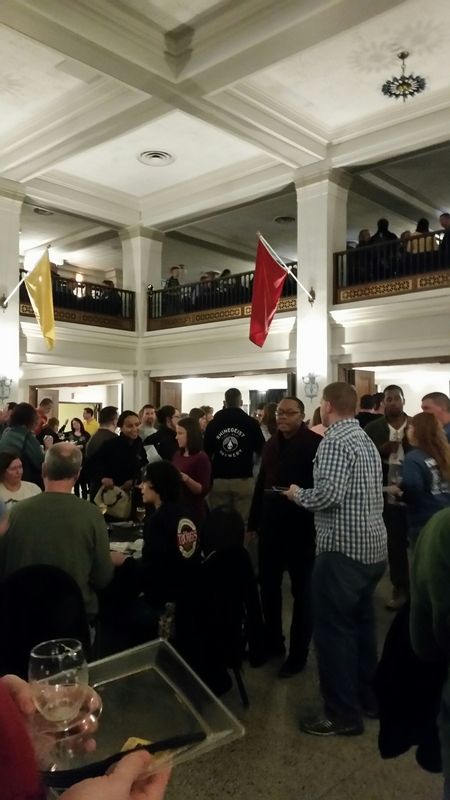 Craft Connection comes to Dayton! Last week I saw big news!! Craft Connection finally made it to Dayton! They are a brew bus tour company that had been in Cincinnati for a couple of years. I had the opportunity to go on one of these tours last year and it was a BLAST! 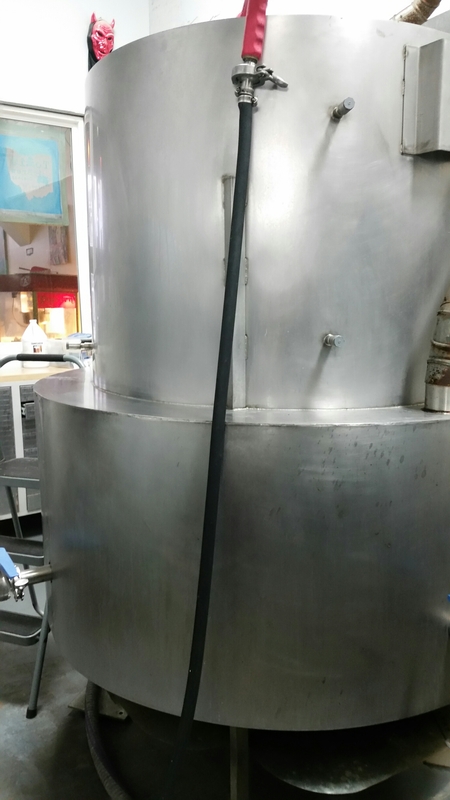 We got to go behind the scenes of the breweries and see how the beer is made. We met several brewers and ask questions. We also got to taste 2 to 3 of their beers. I really enjoyed this because I had never been to any of the breweries we went to (Urban Artifact, Braxton, and Taft Ale House). Now I am even more excited to see they are coming to the Gem City! 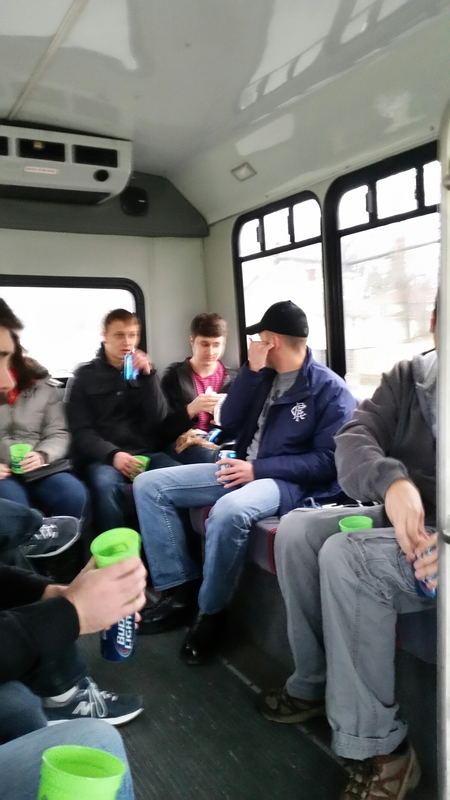 They have a 14-passenger shuttle and you visit 3-4 breweries in 3-4 hours. The breweries they have listed are Dayton Beer Company, Eudora, 5th Street, Star City, Toxic, Warped Wing, and Yellow Springs. 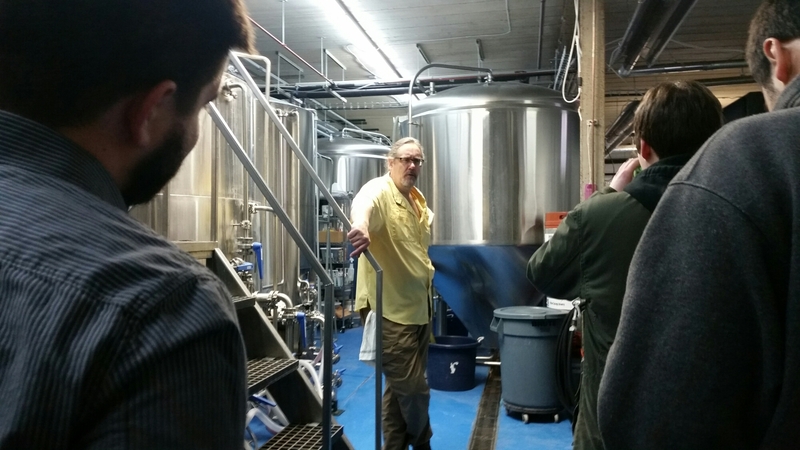 Most of the tours looked like they went to Dayton Beer Company, Toxic and then one more. The cost is $50-$65/person depending on the length of your tour. The tour I went on last year was guided by one of the owners. He was super friendly and knowledgeable about the local beer scene in Cincinnati. I can’t wait to hop on one of their new tours and learn even more about my beloved beer city! On Saturday we had our first large group Growler Saturday! We had 8 (drinking) friends over and every person brought a growler to share. We all sat around the table, drank tasters of everyone’s beer, and rated them to find the best of the night. For the most part we drank the beers from lowest ABV (alcohol by volume) to highest. We were hoping that this would help us to be able to fully appreciate each beer. Last time the ratings kept getting higher and higher the more we drank lol. I am going to list the beers in the order we drank them. The next beer was the Great Lakes and Oskar Blues collaboration Mash Appeal. This lager got an average rating of 5.4. I gave it a 5 or a “I’d get it if it was the only craft beer.” I wasn’t very impressed with this beer and it didn’t really leave a big impression on me either way. Next we had Mt. Carmel Harvest Ale. This beer was rather hoppy but it wasn’t as astringent as most IPA’s. I think the wet hopping really mellowed out the hops and made it more drinkable. I gave it a 5 (not really into hoppy beers) but the average score was a 7.8. So everyone else was into it. The 4th beer was Urban Artifact’s Calliope. I was excited to hear someone was bringing an Urban Artifact beer because I love sours. Unfortunately this beer was an American Wild Ale so it did not give me the sour flavor I was looking for. It was an ok beer but I was somewhat underwhelmed. I am used to their beers punching you with flavor and this one was somewhat bland. I gave it a 3 or “I’d drink it if it’s free.” The average score was a 4. The next beer we had is one that I, and every person in Ohio, are very familiar with. That beer is Great Lakes Christmas Ale. This beer was exactly what I expected. The only criticism I can give it is that it was a little too soon (still not Thanksgiving). I am a big supporter of giving each holiday their time. Still it was full of holiday spices and I will be on the hunt for it… in 2 weeks. I gave it a 7 meaning “I could crave it.” I know for a fact that is a very true statement with this beer. The average score was a 7.1. So I guess most agreed with me. Now we are getting into the beers my husband and I picked out 🙂 . The 7th beer was the barrel aged Batch 100 from Dayton Beer Company. The Batch 100 is a Belgian strong ale and was one of my absolute favorite beers this summer. The Jack Daniels barrel aging really added a lot of depth to this beer. It still had some of the brightness of a belgian but the whiskey flavor really made this a beer appropriate for fall. I gave it an 8, “I’m excited to see it,” and the average score was 8.5. It is definitely something you will want to try. The final beer was mine! I brought the newly released Esther’s Lil Secret 2015 from Warped Wing. From my blog post on this you can tell I was a fan. The chocolate flavor in this beer has been holding up no matter how I have gotten it. The fresh beer tastes just as good as the growler fill and the cans. I missed the chocolate pairing but it was still great :-). I gave it a 9 or “I’d seek it out.” This beer had a much more split review than I thought. Some people loved it and others thought it was too sweet. The average score was a 7.1. Now if you’re keeping score you will see the winner was Dayton Beer Company’s Barrel Aged Batch 100. I thought my beer was pretty awesome but I can’t disagree with this winner. After the tasting comes the party! Craft beer pong anyone?